The World Economic Forum (WEF) kicked off in Davos-Klosters, Switzerland, yesterday and the meeting of economic minds will be a bit greener this year. We aren’t talking about the weather though (the temperature is currently -12C at time of writing) but rather the transportation. As the official shuttle partner of the event, Audi has provided a fleet of 50 e-tron cars. In addition to this the firm has three mobile charging containers at the event. The containers boast a total output of 700kW and a capacity of 1.14MWh. While showing attendees the benefits of electric mobility is one goal of using electric vehicles at WEF 2019 the manufacturer has another goal. The firm is testing the reuse of EV batteries. “After their phase of use in cars is over, the high-voltage batteries continue to be suitable for various energy-storage applications. For this reason, Audi is testing scenarios for using the available resources as efficiently as possible,” the firm said in a statement. 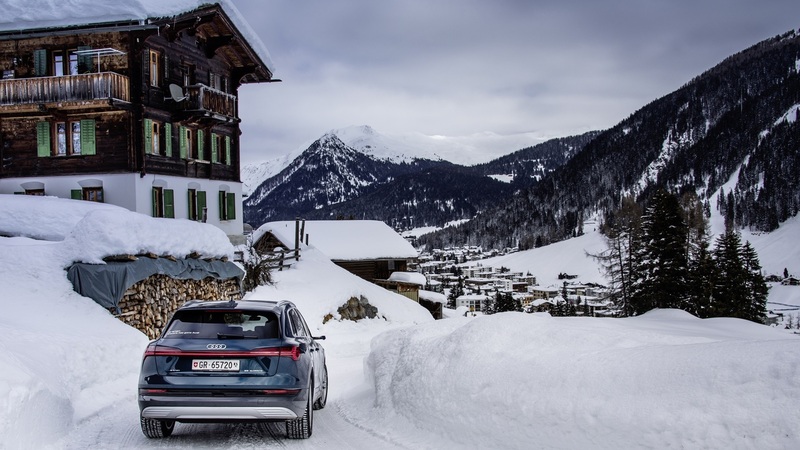 The snowy landscape of Switzerland also makes for a good test track for the vehicle’s practicality in challenging weather conditions. Audi also noted that the e-tron has garnered 20 000 reservations with the model set to arrive in Europe next week.